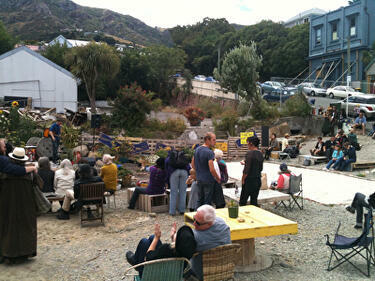 A PDF copy of pages 168-169 of the book Christchurch: The Transitional City Pt IV. 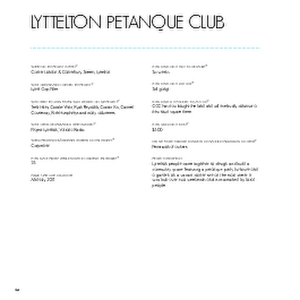 The pages document the transitional project 'Lyttelton Petanque Club'. 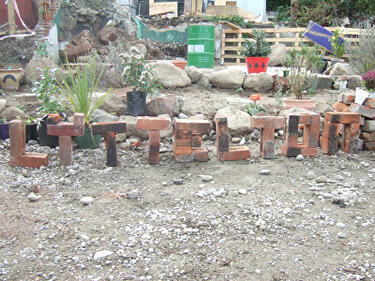 A photograph of bricks stacked to spell out the word 'Lyttelton'. 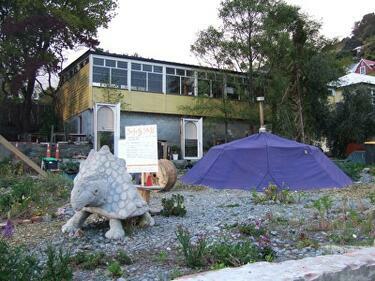 Behind the letters, plant pots have been laid out to form a temporary garden. 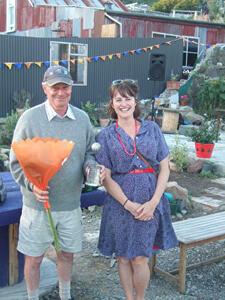 A photograph of Coralie Winn standing next to a Lyttelton resident at the Lyttelton Petanque Club. 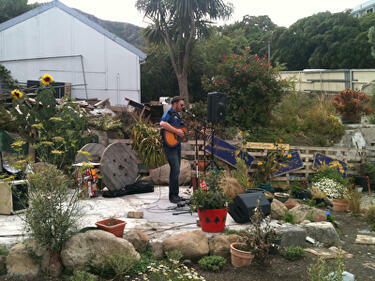 A photograph of a musician performing at the Lyttelton Petanque Club. 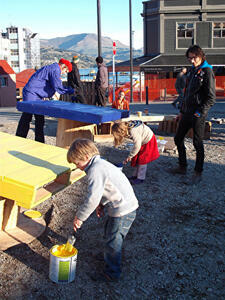 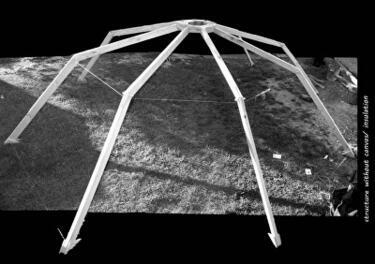 A photograph of volunteers erecting the Dino-Sauna on an empty site in Lyttelton. 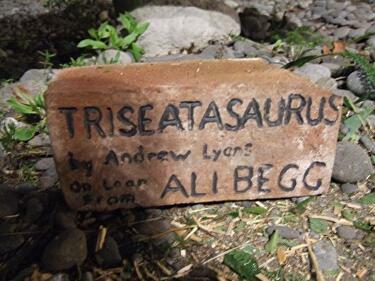 A photograph of a clay tablet reading, "Triseatasaurus by Andrew Lyons. 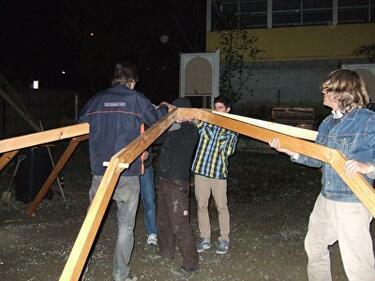 On load from Ali Begg. 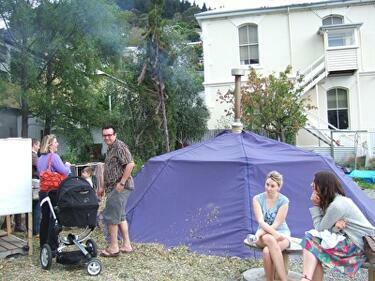 A photograph of people sitting and standing outside the Gap Filler Dino-Sauna, on an empty site in Lyttelton. 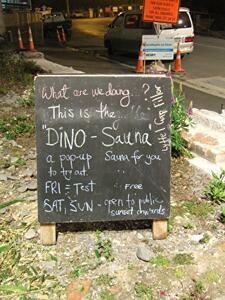 A photograph of Gap Filler's Dino-Sauna, on an empty site in Lyttelton. 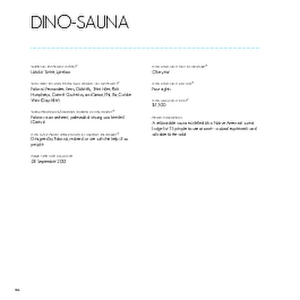 In front of the sauna is a sign giving safety information.